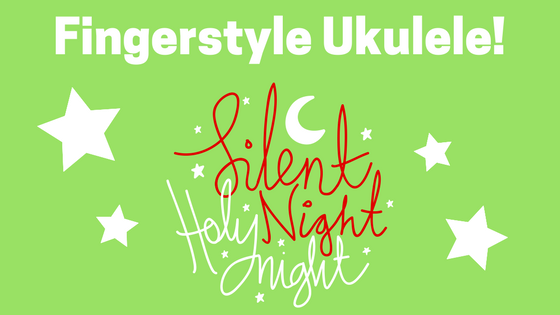 We took a look at a very basic fingerstyle arrangement of Silent night not to long ago. Here's two more challenging arrangements! Here's another installment of some of the fingerstyle arrangements I'm working on. This time - two versions of the same arrangement. 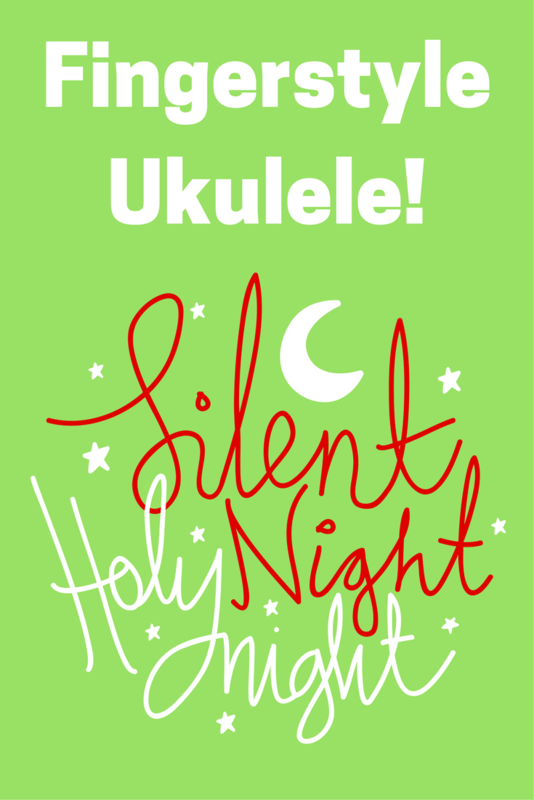 In Silent Night - Easy Fingerstyle we learned about bluegrass right hand position, and what fingers to use for what strings. That will be used here. In O Come, All Ye Faithful we learned about dyads and we played some dyads on the 2nd and third string, using the thumb and the 1st finger. The chords could be strummed or plucked in that lesson. In Jingle Bells we had some 16th notes and a passage and a little bit of a timing challenge in measure 11 and 15. All of those lessons will come in handy here. This arrangement presents some new challenges. We'll be playing higher up on the neck, both strumming and plucking chords and there are quite a few dyads to play throughout. Pluck all chords, using your thumb, 1st and 2nd finger, with the exception of the chord in measure 17. 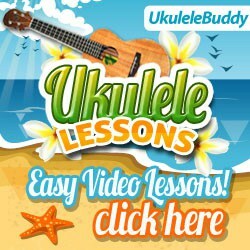 Play all dyads on the 2nd and 3rd string with your thumb and 1st finger. Let all notes ring whenever possible. Let all notes ring together. If you like, slide up to the chord o the 7th fret. Play all chords like this - there are a few of them - with your 2nd finger on the 1st string ad your thumb on the 3rd string. Let these notes ring together. Slide up to the note on the 10th fret if you like. This is the same as the arrangement above but with slight variations. 1st dyad, left hand: Use you 2nd Play the first dyad. Keep you 2nd finger in place during the whole measure. 2nd dyad, left hand: Use your first and 3rd finger to play the second dyad. 3rd dyad, left hand: Remove 1st and 3rd finger. Add your 1st finger on the third string to play the last Dyad. Measure 15 and 16 are the same as measures 3 & 4. Measure 14 is different from the previous version as well, some descending thirds. As you can see this is just the same as the other but I've added some thirds here and there where single notes before. See you soon with another Christmas arrangement!